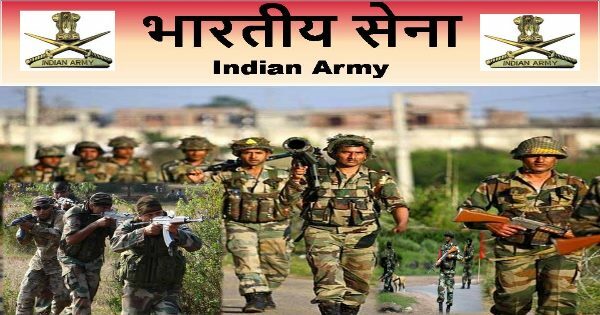 More details about Indian Army Recruitment 2018, including number of vacancies, eligibility criteria, selection procedure, how to apply and important dates, are given below..
Educational Qualification: Candidates should have passed 10th OR 10+2 or equivalent from a recognised board. Selection Process: Selection of candidates will be made on the basis of Written Examination and Physical Endurance Test (PET). How to Apply: Interested and eligible candidates may apply by sending their application form along with the photocopies of relevant education qualification certificate, D.O.B certificate, and two passport size photographs and a self-addressed envelope with postal stamps of Rs. 25 through Ordinary Post/Registered Post/Speed Post to 27 Field Ammunition Depot, Pin-909427, C/o 56 APO before 11-01-2018.